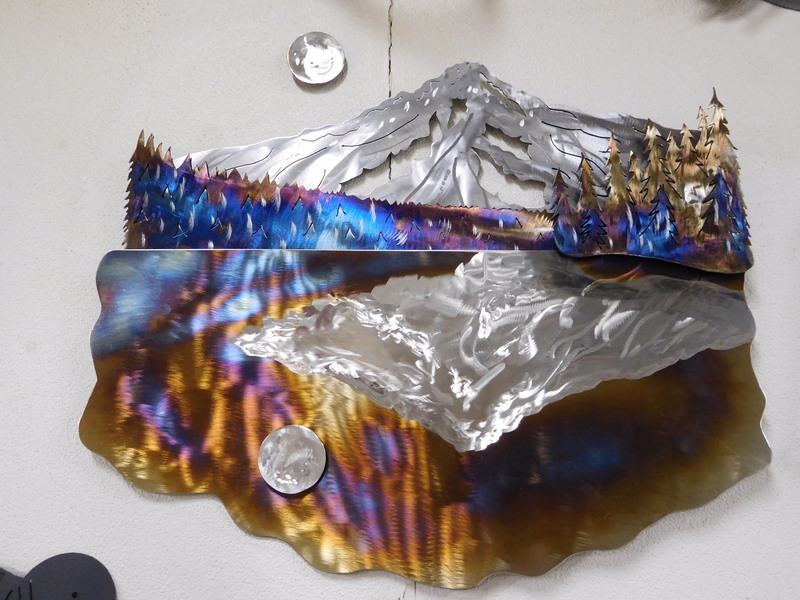 This gorgeous metal sculpture depicts the reflection on Trillium Lake of the full moon and Mt. Hood’s south side. The artwork measures at 25″ x 23″. Plasma handcut, mild and stainless steel is sanded, heat colored & welded by Pat Bullard. We will deliver the item for free in the Mt. Hood/Portland area. Shipping outside the area will be UPS Cost + Item Insurance.